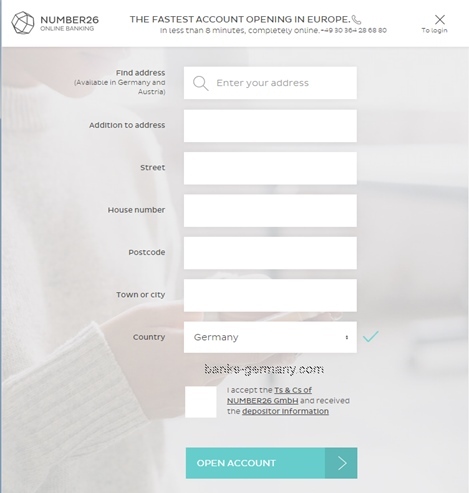 Eight minutes – that’s all it takes to apply for a German bank account and complete the application – fully online. For more information about the bank, read the detailed review of N26 bank providing you with information and advantages of the account. Do you have an address in either Germany, Austria, Greece , Spain , Slovakia , Ireland , France or Italy? If you meet the above two conditions, then congratulations, you can open a N26 account. Since N26 gives a Prepaid credit card, it does not perform credit checks unless you apply for overdraft facility. Therefore, you do not need to have a Schufa credit record in Germany. This is good for newcomers who have no credit history in Germany, or those you have a bad credit history. Also, this avoids the need to provide a employment contract either, which some banks need. You should be able to receive documents in that address, but need not provide a proof of residence in that address (Anmeldung). Identity proof – This could be your Passport (any country) or official ID (an EU country). That’s it, you are ready to open a bank account now. Being an modern bank, most of the activity is performed through your smartphone, so you also need a smartphone (iOS 7 or Android 4.3) to complete the process and use your account fully. The steps vary a little depending on which country you are applying from. But overall the process is simple and easy. In this regard, the bank lives up to its promise of modern service right from the start when opening the account. You can apply and complete the application process entirely online without having to move away from your screen. It provides English language website and application form, the instructions are also straight forward. However, here is a step by step guide on how to apply and activate the account. Open the website from the link provided here. Important: Make sure to use the link provided here, otherwise, depending on the country you might be put on a waiting list (in certain countries). Enter your country of residence and Email address : Once you click the link, you will be sent to the website of the bank. If you have a wrong language, you can change the language to English by clicking on the top right corner and select English. On the page be asked to select the country and enter your email address. The country on the left is your the country of residence (one of the 8 countries) and not nationality. Currently, the account is open to residents of any of the 8 listed countries (Germany, Austria, Greece , Spain , Slovakia , Ireland , France, Italy). In case you are from other countries, you can still select your country and enter your email address. You will be informed when the account is available for your country. Tip: Enter the email address and register even if you are not from one of the countries. 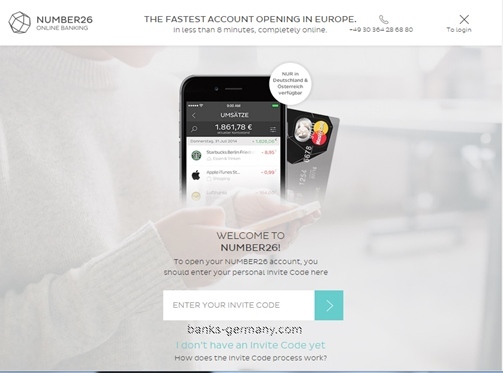 Depending on the demand, N26 will extend the service to the other countries (read here). This is true because till recently, the account could only be opened by residents of Germany and Austria. Personal Invite Code (applicable to some countries only): In certain countries, the account can be opened only through personal invite code. If you are from those countries and you clicked on the correct link (not on waiting list) then the following is applicable for you. After you enter your email, you will receive the below email with a personal activation code. If you did not use the link provided on this website, it is possible that you get an email informing you of being on the waiting list. This changes based on the countries. The code is a personal code and can be used only by you. You can now click on Open Account Now and Download App link provided in the email. The link will take you to the page where you can enter your personal invite code. Enter your details: You will be forwarded to the application page asking you for your details. As this form is in English, the details required are self explanatory I suppose. The email address and password will be used for your banking account login. Make sure you enter the details as in your Passport and also the correct address in Germany where you will be able to receive documents. since all the documents will be sent to the address you provide. Confirm email address : Once you completed the application you will receive an email asking to confirm your email address. Click on and confirm. According to the German Money Laundering Act, all financial services institutions are required to verify the identity of the client who wants to open a bank account. 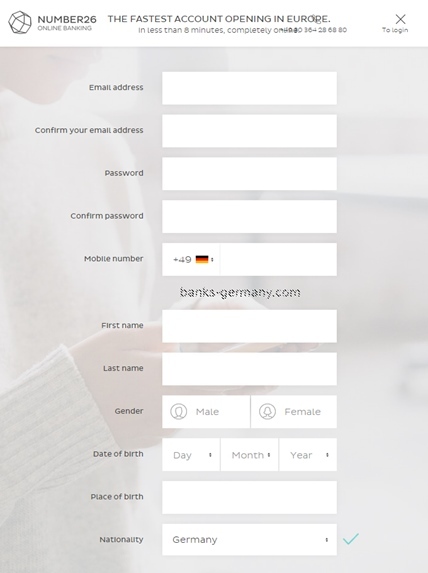 Usual method used by the banks in Germany is the PostIdent method where you will have to go to the nearest post-office in Germany to verify the identity. But since N26 is available to residents outside Germany, it also provides an entirely online method of verifying identity using video. You can select the process whichever is suitable to you. Also, it is not necessary to finish both the application and verification at the same time. So you can apply online now and complete your verification at a later date. This is an online method of verifying identity online through videochat with an employee who checks your identity through the video. Don’t worry, you do not have to know German, the person will talk to you in English. It is easier and can be completed entirely online from your computer or using your smartphone. Please note that you need a camera (webcam) and an internet connection. Timings: Monday to Sunday – 8am to 12pm. Yes, that is right, any day of the week till midnight. So the VideoIdent process can be done from the comfort of your home after your day at workday. Important note: There has been reports that VideoIdent staff may not be authorized to verify passports of certain countries. Therefore holders of passport from those countries may have to use the PostIdent. Open the app and login to your account using the username(email) and password you had used when creating the account. You will be asked to verify the account. Just follow the step provided there and a Video call will start. have your passport or ID with you as they will take a photo of you holding the ID for their records. If you do not have the app installed yet, you can also do it using the computer having a webcam and an internet connectionon your computer. Just go to the N26 website and login to the account using the details you used for creating the account. Follow the instruction provide here. Have your your phone near your. You will get a code on your phone during the identification process. Also have your passport or ID with you as they will take a photo of you holding the ID for their records. If you prefer, you can also perform a normal verification from a postoffice in Germany. Print out the PostIdent form and go to the nearest Deutschepost branch and ask the clerk to perform the PostIdent. To find out the center which is closest to you, click Postoffice Finder. Type in the city, postal code or the name of the street and under the option”alle speziellem service” select the option for “PostIdent”. You will be showed on the map the Postoffice branches closest to you. Dont forget to take your passport along. As stated earlier, you will need your smartphone to complete the application process. Also, since you can authorize transactions only with your paired smartphone, it is important to pair your phone. If you want to pair a different smartphone with your account or if you lose your phone, please get in touch with the customer support immediately. They will carry out the changes after authenticating your identity. To pair your phone, you should have the N26 app installed on your phone. The app only works with iPhone (iOS 7 or higher) and Android (version 4.3 or higher). So make sure you have a smartphone capable of running those application. Next you need to set a PIN and a transaction code. Make sure you remember them as they are important for making transactions. If you need to change it, you will have to contact the bank later. They will carry out the changes after we have authenticated your identity. Now you can transfer money to your N26 account. You will find your IBAN and your BIC in the mobile app or the online banking interface under “Card Info”. The MasterCard will be sent to you automatically once you have finished the verification. However, you cannot use it till you activate it. You will receive your N26 MasterCard in a few business days. Along with the card you will receive instructions on how to activate the MasterCard. Follow the instructions and you are set. You can now use the account and the MasterCard. Now you are ready to use you new N26 bank account with free MasterCard. Is the N26 bank works for the Blocked account of international students currently present in Germany? 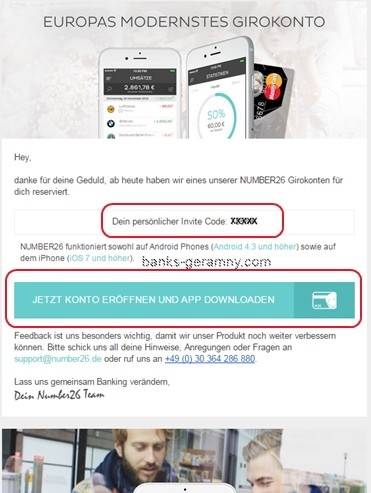 N26 bank does not provide a Blocked account, even if you are already in Germany. We do not know of any German online bank which does. So, the best option is to go to a bank branch closest to your university and ask them. Check out Postbank, Sparkasse or HypoVeriensbank.